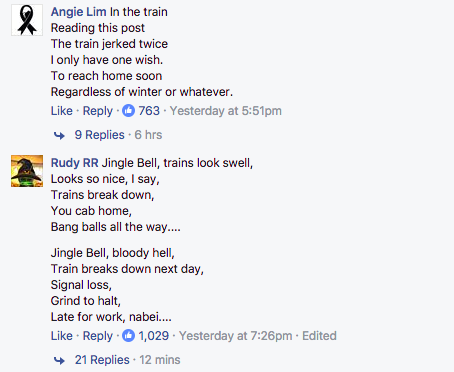 It’s Christmas season and once again we are starting to hear the woeful cries of Singaporeans who long to feel the cold air and snowy chill on our skin. But alas, this is equatorial Singapore, and the closest thing we’ll ever get to a snowy Christmas night are the fake white stuff you get at the Super Tree Dome at Gardens by the Bay. 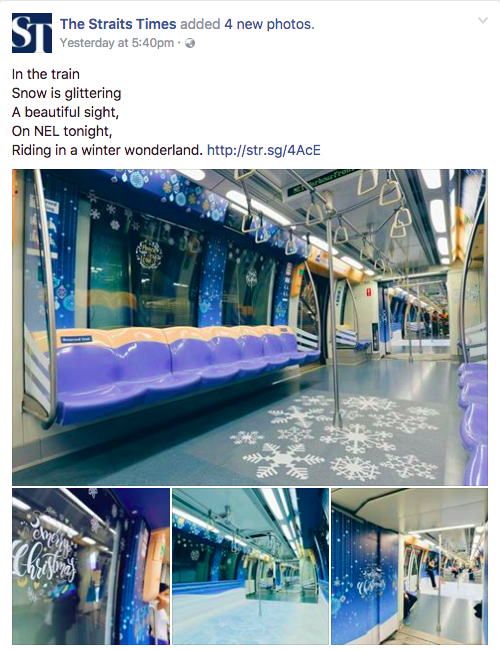 So LTA has taken things into their own hands and given NEL commuters a white Christmas, all from the comfort of a train near you. In all honesty, the decorations are quite marvellous to behold. 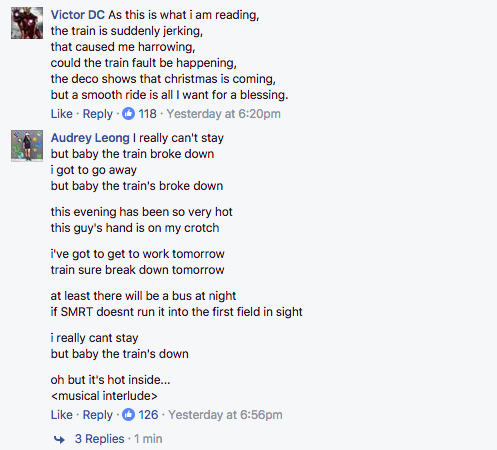 Unfortunately it hasn’t been enough to appease all the commuters LTA has pissed off in the recent few months, when breakdown after breakdown had people bonding over a shared love of our failing MRT system. And their latest attempt to redirect our attention away the perpetual problems has had people bonding again, only this time in the spirit of Christmas jingles. 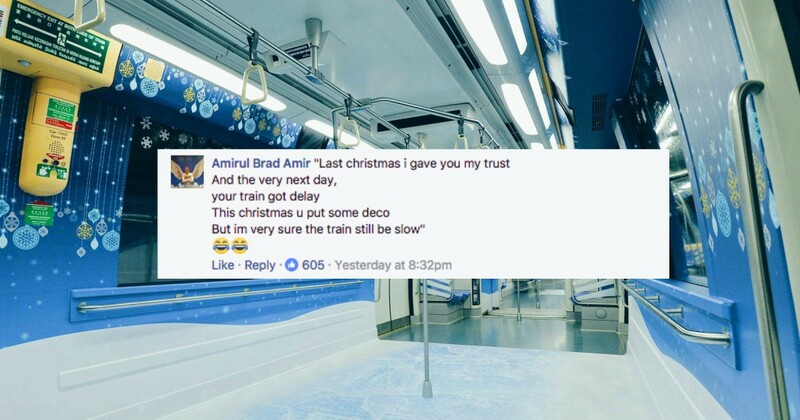 But while some people are celebrating LTA’s honest effort with some good ol’ snarkiness, others are just straight out calling LTA out for wasting money on yet more meaningless decorations. 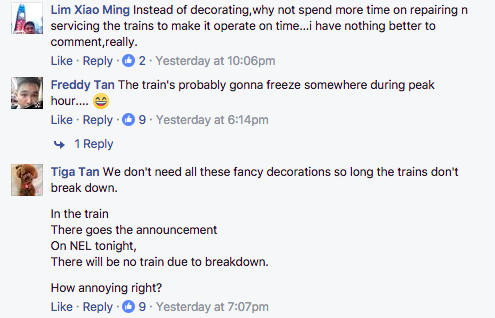 Money can be spent on stickers, but not on fixing the train breakdown issue? And sorry LTA, I am going to have to go with these Facebook whistleblowers here. Instead of spending money to create designs and hire people to paste up these stickers, we’d really rather you spend more time dealing with the non-stop breakdowns that plague us at peak hour rushes. We are not that difficult to please, we just like our trains to be functional and on time. Because recently it feels like its the breakdowns that are the ones on time.